Confession: I haven’t been motivated this season to do an Ironman. 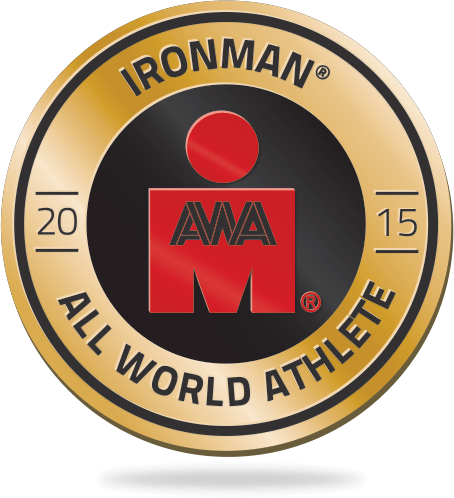 In what should normally be a banner year – being the youngest in a new age group (I moved up to M55-59 this year) – I haven’t been able to bring myself to register for a full Ironman yet. 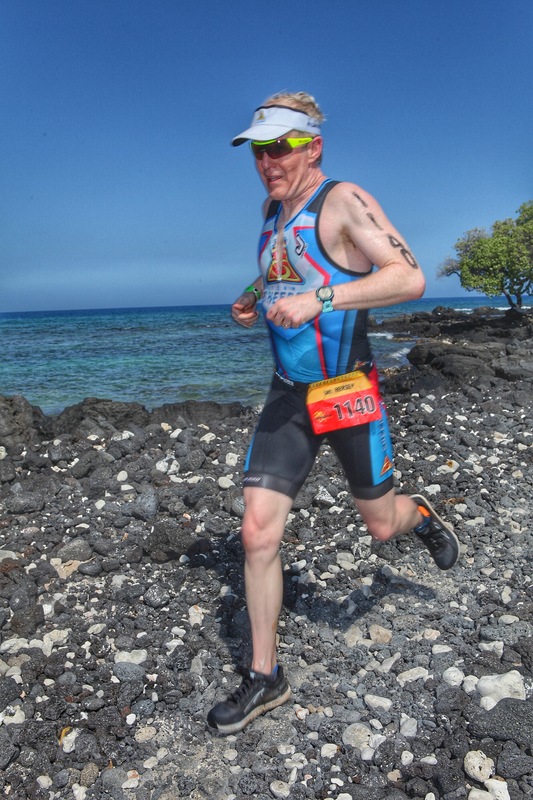 Part of my reticence is physical: I had two poor Ironman races last year, plagued by cramping starting on the bike and continuing in slow, painful walk/jogs. But the larger reason is mental/emotional – my heart just hasn’t been in it. I lost my dad in January, and the grieving process likely plays a big role there. That doesn’t mean I haven’t been training; in fact, I’ve been adding a lot of functional strength work to my routine, and I’ve done some big bike and run blocks – big in terms of frequency/consistency, at least, if not really high volume. So I actually feel really good, and I think I discovered the issue with my abductor/hamstring cramping: my bike position. Dan Empfield of slowtwitch.com came to San Francisco recently for a marketing event that included “express fits” – a quick process of taking my current fit coordinates and trying a few simple tweaks on a nifty electronically controlled fit bike. The bottom line was that I was 3 cm too far forward in the saddle and 4 cm too far forward in the elbow pads. I made the changes based on Dan’s recommendations, and – voilà – no more abductor issues…so far, anyway. 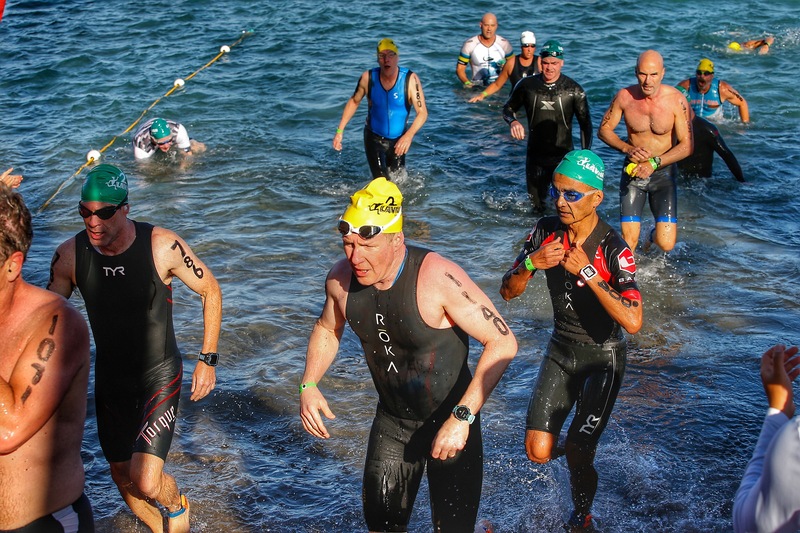 I have signed up for a couple of half Ironman races in May and June, and I’m thinking I might get my Ironman mojo back by mid-summer, but in the meantime I picked the Lavaman Triathlon as my first tri of the season. It’s an Olympic-distance race that takes place in the Waikoloa area (swim in the calm Anaeho’omalu Bay, bike up the Queen K to the entrance of the tony Kukio resort, then back to Waikoloa, then run on a combination of roads and rocky beach sections that beg you to fall and scrape yourself on lava rocks or twist an ankle – in short, FUN!). Roughly a dozen of my Team Sheeper mates were there, which made it a really fun destination race. Now that we’re part-time residents of the Big Island, it’s great to introduce friends to the lesser-known treasures of our home away from home. So…the race. Attentive readers will note that the swim is not my strength, and in Olympic-distance racing that’s more of a liability than it is in half Ironman or full Ironman, since it makes up proportionately more of the race and also since the bike and run distances are less likely to test the limits of stronger swimmers. So my goal in the swim was to keep my losses to a minimum. I was in the last wave of males, which was 55 and older. Yeah, that didn’t make me feel like a geezer! The good thing was that I got off to a great start and avoided getting battered by my competitors, so had a pretty decent (for me) time in the water. I still gave up 5 minutes to the fastest guys in the group, but did catch a bunch of swimmers from earlier waves as well (waves were 6 minutes apart). The transition included a longish run, but I got out on the bike relatively quickly for my first race of the season – some transition practice is in order. I felt great on the bike and immediately started passing riders. My watts were high but controlled – around 240, which is getting within 5% of my threshold – and that was part of the plan. The first half of the bike was a long gradual uphill, and it turned out on the day to also be a headwind, which made for a double whammy. My power was solid – I had a 20-minute average of 242W in there, and at times I was pushing close to 300W, which for me is cranking. The Dimond felt fast, and my recently-tweaked position felt comfortable. I knew from the conditions on the way out that the way back would feature mostly downhill and a tailwind, so I decided to allow myself to push the power going out – I’d get to recover a little on the return. The focus was on staying aero. 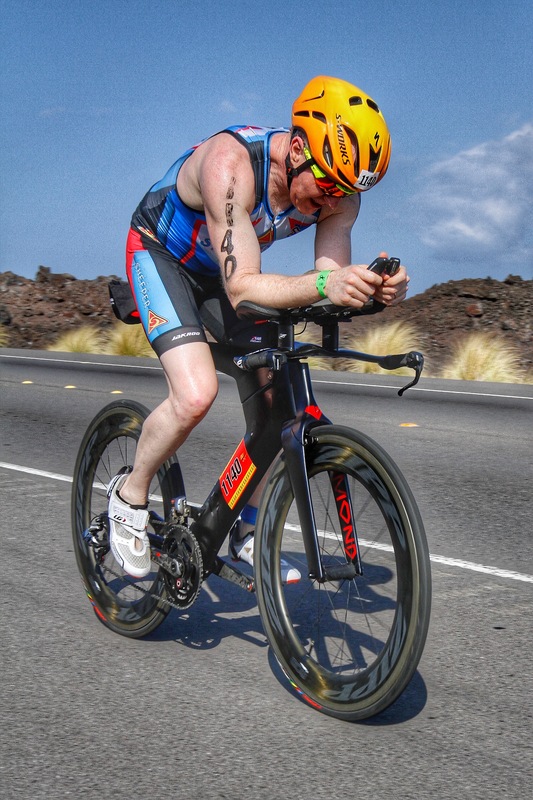 It wasn’t all easy on the return, but I definitely recovered a little, and I did my flying dismount into T2, notching a 1:05:30 for the ride (222W AP, 229W NP), and the first thing I noticed when I got to my rack area was that there were NO OTHER BIKES there. 🙂 That didn’t tell me for sure that I was leading the age group, as the bib numbers were a little spread out, but I thought I was doing pretty well. Anyway, the run is usually a strength of mine (except sometimes in the heat of Hawaii), so all I could do was pace myself and run as hard as conditions would allow me to. The first 4 miles were mostly on pavement, but then we got onto the “off-road” sections along the King’s Trail and shoreline, which involved lava rocks, coral and the danger of slipping and opening up gashes (I saw a few walking wounded after the race). The footing was really tricky in parts, but I just tried to go as fast as I could while maintaining balance. The final almost-mile-long section of rocks and beach was especially tough, but you could hear the finish line announcer from pretty far away, so at least you knew you were close. I went sub 45 for the “10K” (my Garmin got 5.7 miles, so it was about a half mile short), but that got me the second fastest run split in my age group by 15 seconds or so, and that combined with my top bike split gave me my first age group win in quite a while. Anyway, the season started off great. More adventures to come, and I’m definitely getting my mojo back…gradually! 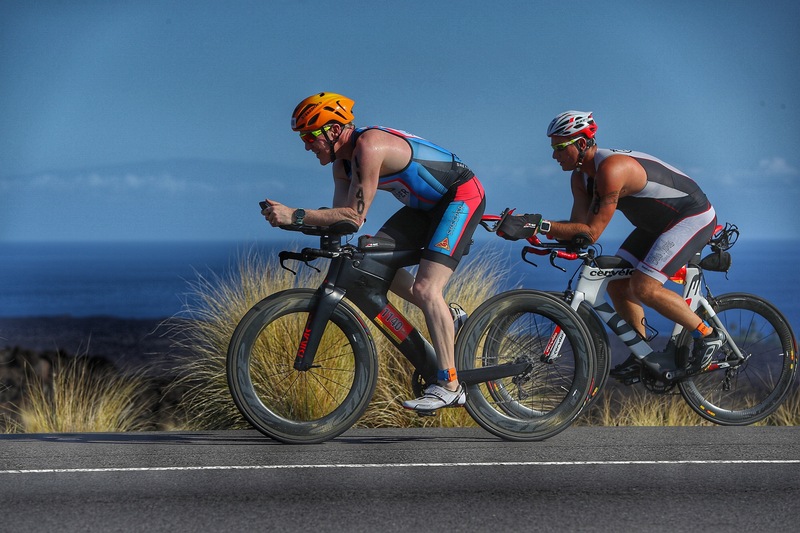 Next Post → Epic 5: If One Ironman is Good, Five in a Row is Awesome, Right? Love these reports Ian. Your obviously in good shape. Nice work! You said your blog had two readers, so I guess I’m #3. Nice read. That rocky run would be enough to dissuade me.